Attending in person? Please click here to RSVP and register. This free information session was developed to help mid-career bachelor's degree holders with an interest in evolving within their fields to have the opportunity to learn about the master's and doctoral degrees and dual-credit certificate programs (wilmu.edu/certificates) that Wilmington University offers. 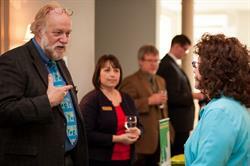 WilmU faculty and staff will be on hand to present overviews of their programs and answer attendees' questions. Attendees will also have the chance to review and consider the many course options, potential industry benefits, financial assistance services that are available. 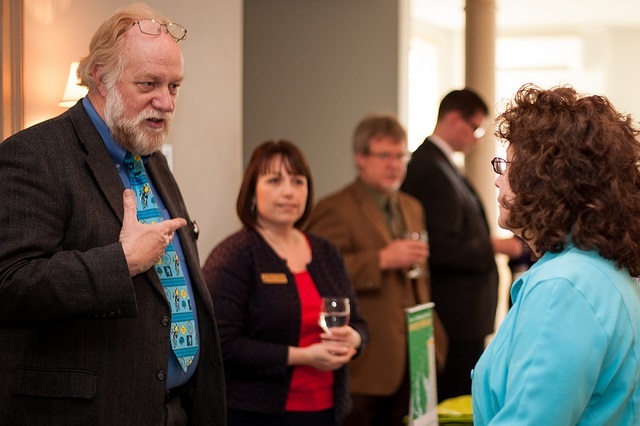 "The purpose of the Graduate Studies Fair is to help make Delaware residents aware of the graduate education opportunities available to them through Wilmington University, both in the classroom and online," said Dr. Jacque R. Varsalona, Assistant Vice President for Institutional Advancement. "The $35 application fee will be waived for any attendees who choose to enter one of the university's graduate programs." With graduate programs in more than 70 specialties taught by real-world experienced professionals, and with flexible course formats and affordable tuition, Wilmington University graduate-level offerings are designed to support students' career goals while fitting into today's budgets and busy schedules. Find out how Wilmington University's graduate studies can provide solid steps to career advancement. Drop by in person at one of Wilmington University's convenient locations in New Jersey, Delaware and Maryland, which you can locate online at wilmu.edu/locations. For more information about the Graduate Studies Fair, contact the University Information Center at wilmu.edu/contact or by calling (877) 967-5464 at any time. Wilmington University is a private, nonprofit institution committed to providing flexible, career-oriented, traditional and online associate, undergraduate, graduate and doctoral degree programs. Ranked as the second fastest growing nonprofit doctoral institution in America 2004 - 2014 by The Almanac of The Chronicle of Higher Education, affordable tuition, academic excellence and individualized attention are hallmarks of the University that enable greater student success in their chosen careers. For more information, contact Wilmington University at 302-356-INFO (4636), via email at infocenter@wilmu.edu, or visit our website: www.wilmu.edu. Faculty and staff from Wilmington University will be on hand at the Graduate Studies Fair on Wednesday, December 7, to help attendees find out more about these options. The fair will take place from 5:00 p.m. to 8:00 p.m. at the New Castle, Dover and Georgetown university locations.